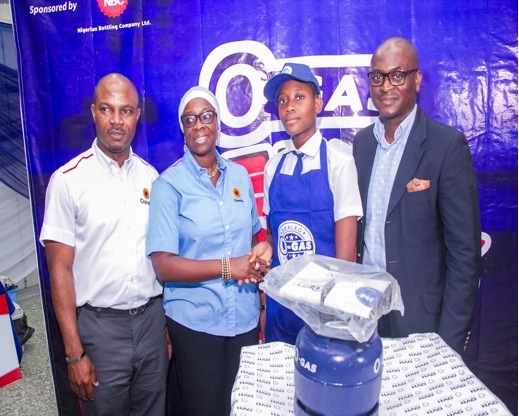 Lagos, Nigeria, March 3, 2017 – OVH Energy Marketing, licensee of the Oando retail brand has concluded its cross regional Teens can cook competition. 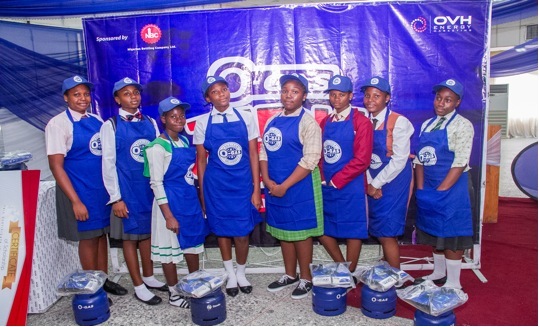 The O-Gas teens can cook competition, sponsored by the Nigerian Bottling Company (NBC) is part of the leading oil retailers initiatives to create awareness on the health, environmental and socio-economic benefits of adopting the use of Liquefied Petroleum Gas (LPG) in cooking. The event which held at the University of Lagos multi-purpose hall recently saw guests and the shortlisted schools gather together anticipating the results of a year of passion, hard work and dedication displayed by the students. 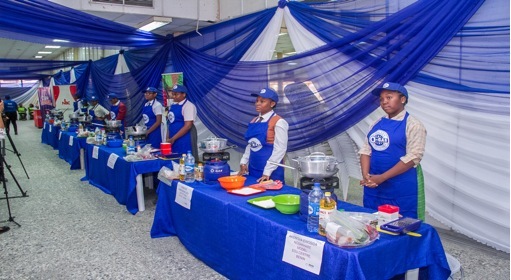 The 2016/2017 edition of the O-gas teens can cook competition kicked off with 40 schools from all 4 geopolitical regions across Nigeria and was narrowed down to eight schools across Lagos, Abuja, Port Harcourt and Benin City. Commenting on the O-Gas teens can cook initiative, Mrs. Olaposi Williams, Acting CEO of OVH Energy Marketing Limited stated “OVH Energy’s aim is to enlighten the future generation at an early age on the myriad health and environmental benefits of the adoption of LPG, and we wanted to do this by involving the teenagers in activities which would be educative as well as interesting”. Olaposi commended the efforts of the participating schools noting that the skill, intelligence and zeal displayed by the teenagers was very inspiring. The contestants at the cooking competition were challenged to prepare one of Nigerians favorite dishes, Fried rice and chicken within 45 minutes. Participants were judged on preparation, taste, presentation/creativity and cleanliness of the food. Amongst the judges was the founder and head chef of Red Dish culinary school, Chef Stone, National Account Director Nigerian Bottling Company, Mrs Adeyanju Olomola and CEO and certified Nutritionist, Rubs and sauces, Mrs. Yemi Adeosun. Whilst the cooking competition was under way, the teenage debaters fiercely highlighted the benefits of adopting LPG and the health and environmental hazards faced when cooking with conventional biomass like kerosene and firewood. Judged by the President, Nigeria Liquefied Petroleum Gas Association, Dayo Adesina; Facilities Manager, OVH Energy, Mr Akingbogun Akinkunmi, and Head legal and company secretary OVH Energy Marketing, Mrs. Adaeze Nwakobi the debate ended with Ugoaja Chizobam from Jesuit Memorial College Port Harcourt taking home the first place prize. In her closing remarks, Mrs Olaposi Williams explained that the initiatives are part of OVH Energy Marketing’s plan to support the millennium development goal of ensuring environmental sustainability, by educating people on the hazards of their chosen methods of cooking but most importantly the undeniable benefits of LPG over these cooking methods. Mrs. Williams also sighted the OVH Energy Marketing NYSC Inter-platoon competition as another strategy to proliferate the importance of LPG.